You’ve sweated through your underwear, lost your phone charger and are in serious need of some aloe vera. So starts a chain of Coachella calamities, ones that would typically require picking through the on-site general store or hoofing it back to the car and finding a drug store. 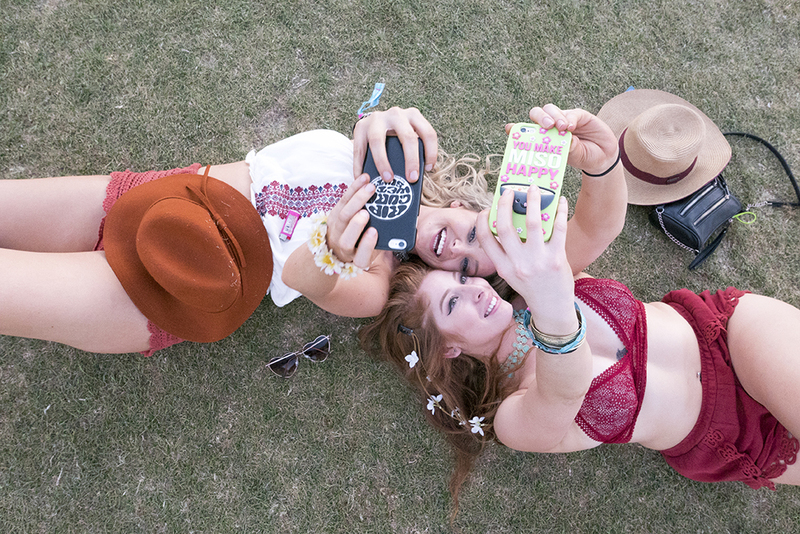 This year, though, Amazon is swooping in to solve your festival preparedness emergencies with advance and same-day delivery at Coachella. For the 2019 edition of the music fest, the online storefront will be installing Amazon Lockers, its secure package pickup kiosks, inside of the festival gates. In the weeks leading up to the April event, look out for a curated Amazon storefront of fashion, beauty, wellness, tech and camping items. You’ll be able to place orders in advance, or during both festival weekends for same-day delivery. In either case, you’ll select an Amazon Locker location as your delivery address and, once it’s ready, you’ll receive a barcode that’ll release your package from the automated lockers at no additional cost. Though Amazon has yet to unveil all of the products in its Coachella storefront, a press release mentions items like sun hats, phone chargers, lip balm and portable fans. To be clear: You won’t be able to order any item off of Amazon, so don’t expect to haul a gas-powered generator and a mini fridge out of the locker. In addition, all items for sale will comply with Coachella’s festival rules. We took a look at the list, and that means no coolers, vape refills, aerosol sprays, chairs or flashlights, among other items (some other fun things you can’t bring to Coachella: chain wallets, flags, hula hoops, massagers and stuffed animals). Coachella is held at the Empire Polo Club in Indio on April 12–14 and April 19–21, 2019. MustHaves.LA a participant in the Amazon Services LLC Associates Program, an affiliate advertising program designed to provide a means for us to earn fees by linking to Amazon.com and affiliated sites.